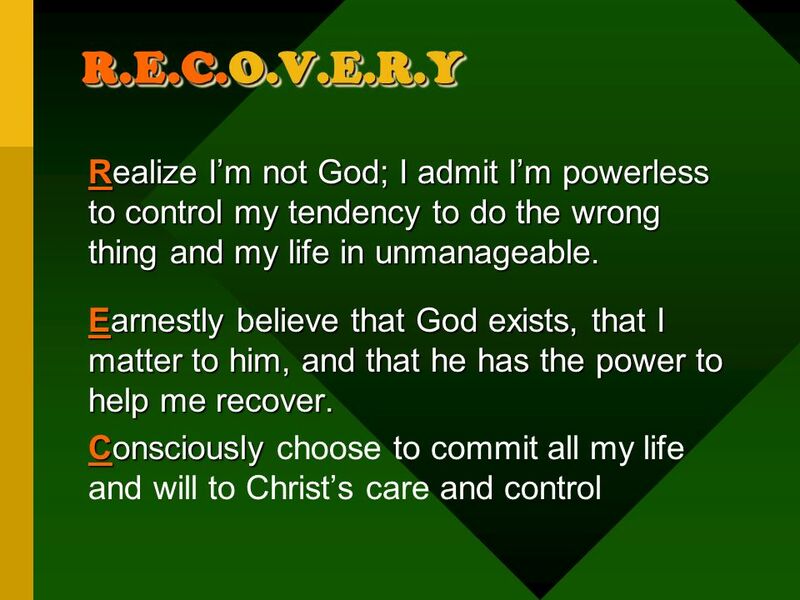 3 R.E.C.O.V.E.R.Y Realize I’m not God; I admit I’m powerless to control my tendency to do the wrong thing and my life in unmanageable. 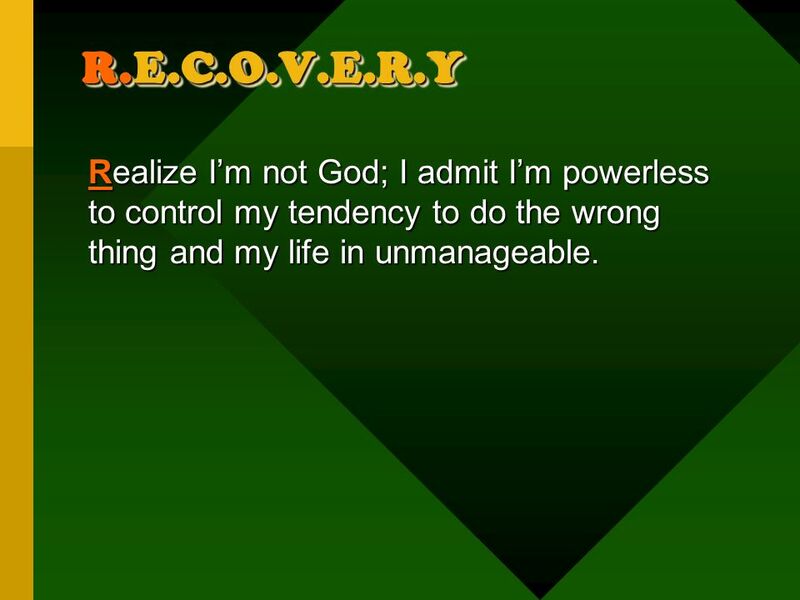 4 R.E.C.O.V.E.R.Y Realize I’m not God; I admit I’m powerless to control my tendency to do the wrong thing and my life in unmanageable. 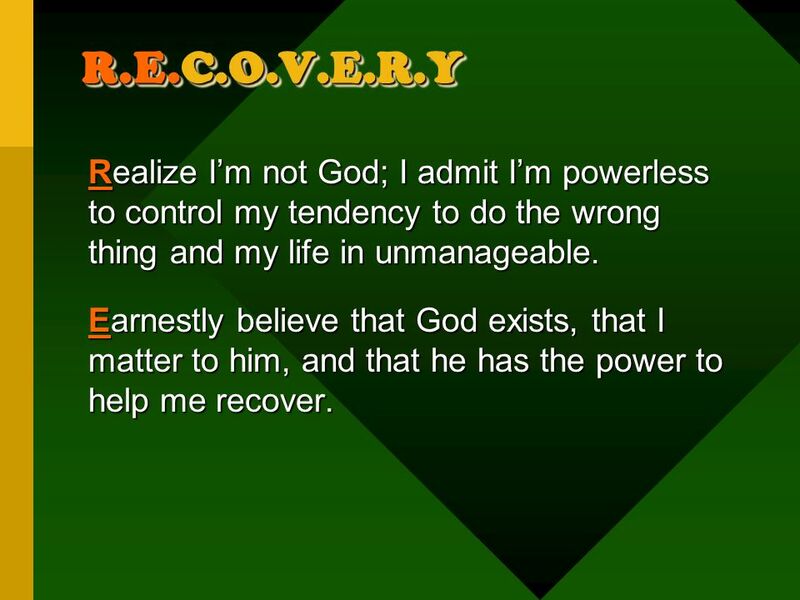 Earnestly believe that God exists, that I matter to him, and that he has the power to help me recover. 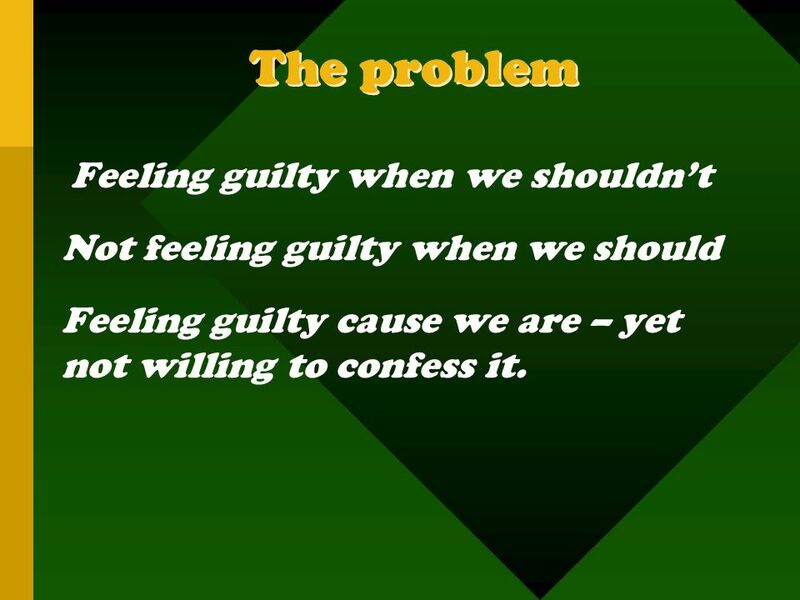 Feeling guilty when we shouldn’t Not feeling guilty when we should Feeling guilty cause we are – yet not willing to confess it. 15 How To Do This Step 4. 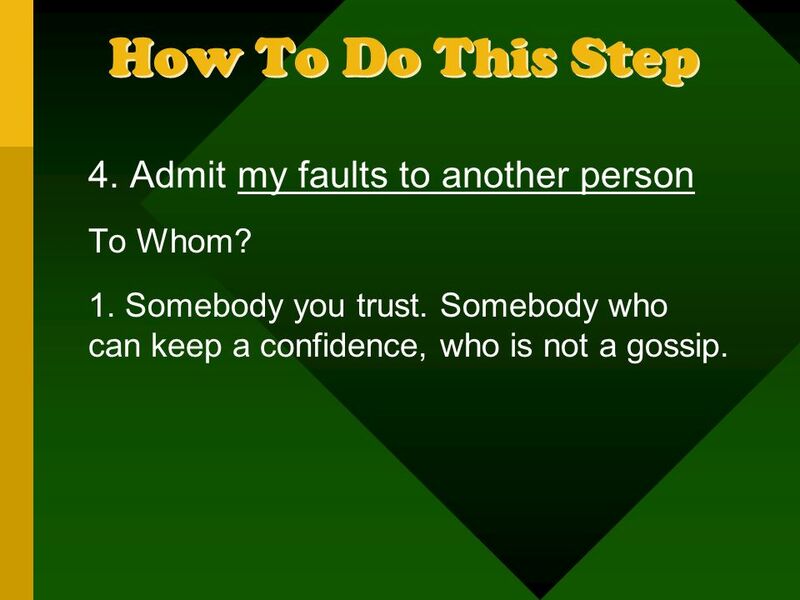 Admit my faults to another person To Whom? 1. Somebody you trust. Somebody who can keep a confidence, who is not a gossip. 16 How To Do This Step 4. 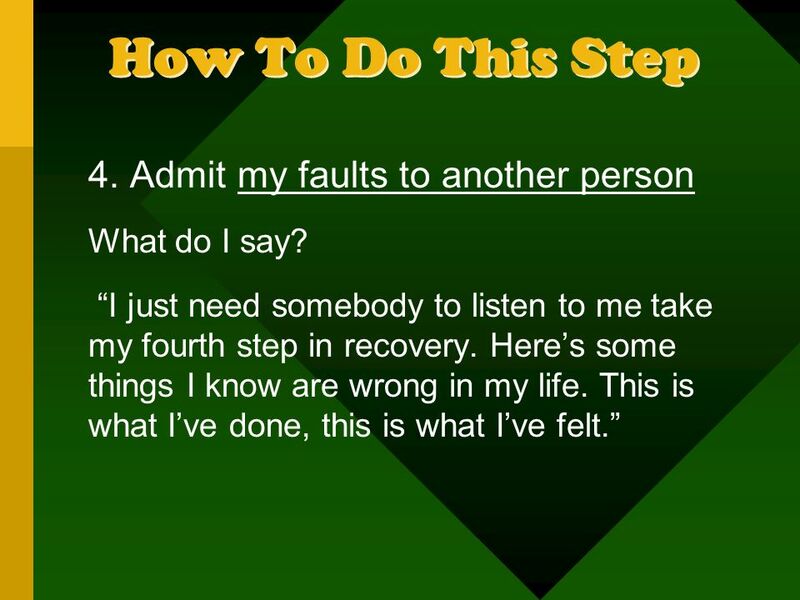 Admit my faults to another person To Whom? 2. Somebody who understands the value of what you’re doing. 17 How To Do This Step 4. 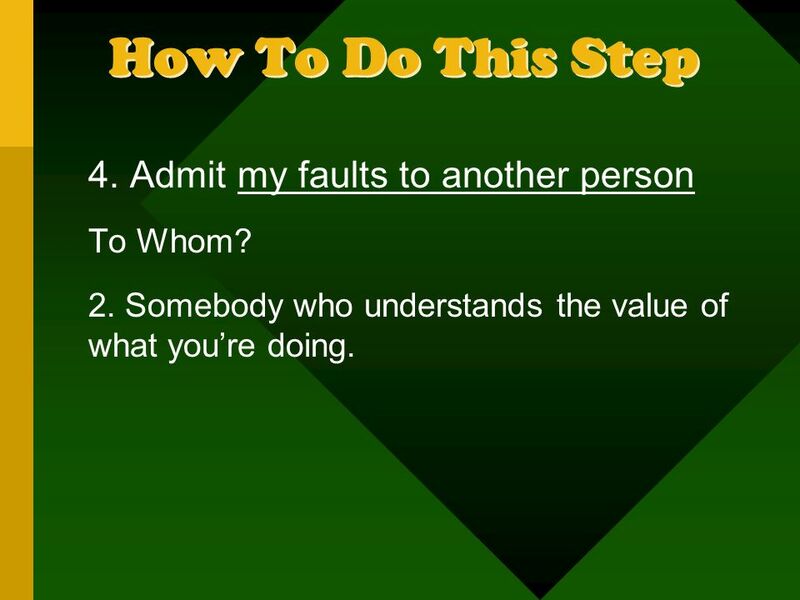 Admit my faults to another person To Whom? 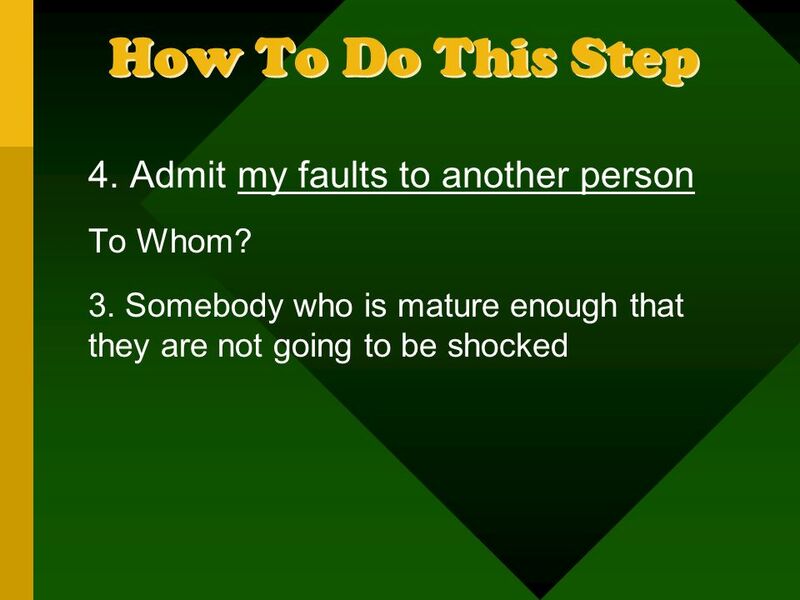 18 How To Do This Step 4. 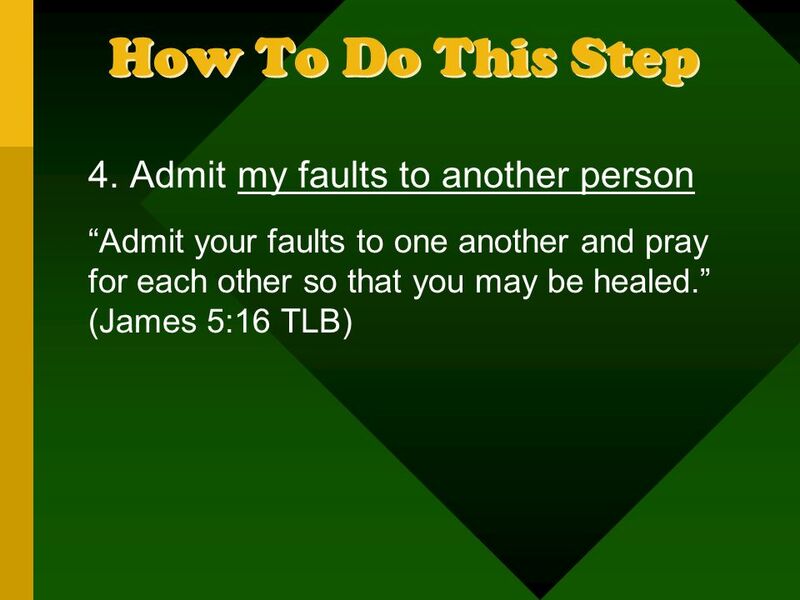 Admit my faults to another person To Whom? 4. 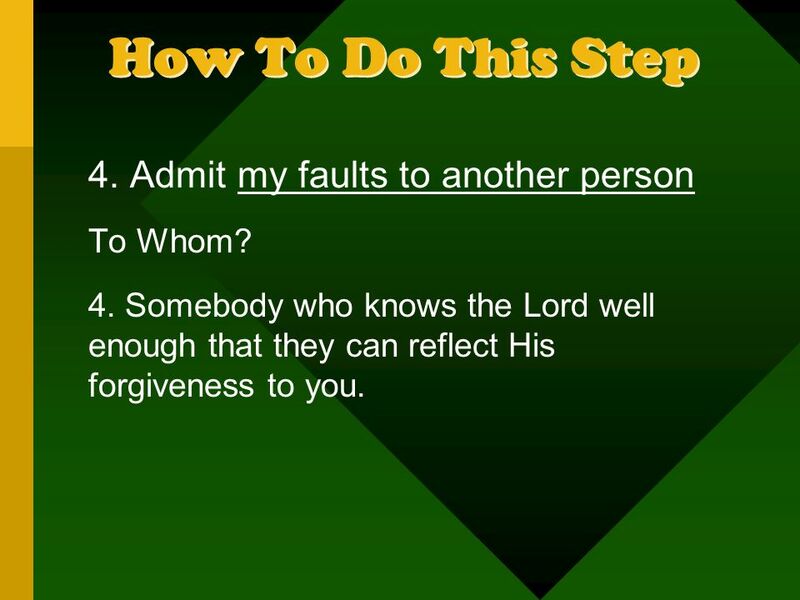 Somebody who knows the Lord well enough that they can reflect His forgiveness to you. When do I do it? As soon as possible. 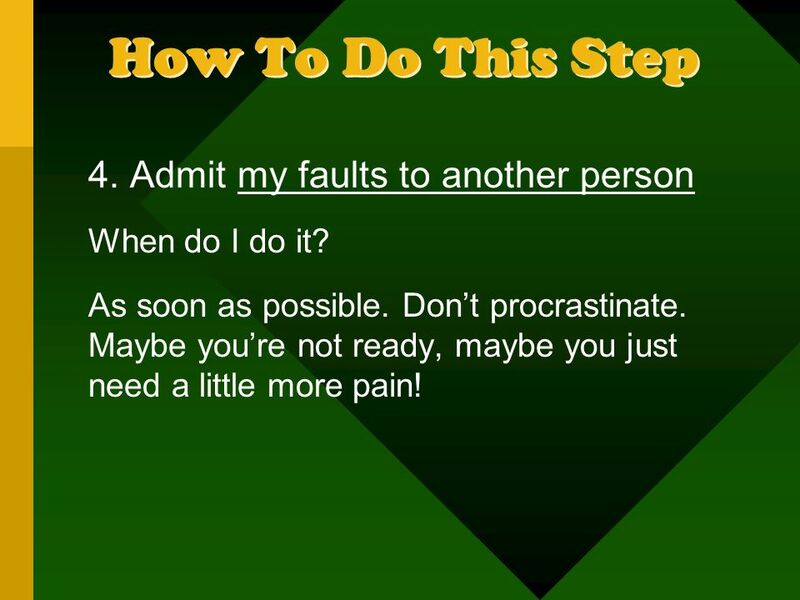 Don’t procrastinate. Maybe you’re not ready, maybe you just need a little more pain! Download ppt "Putting The Past Behind"
Does God change his mind? If not why bother praying? 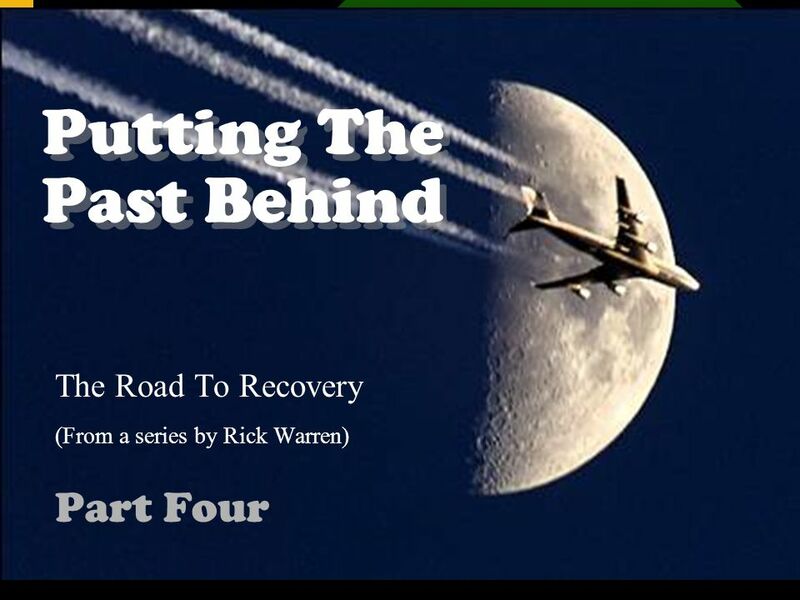 Putting The Past Behind The Road To Recovery (From a series by Rick Warren) Part Three. 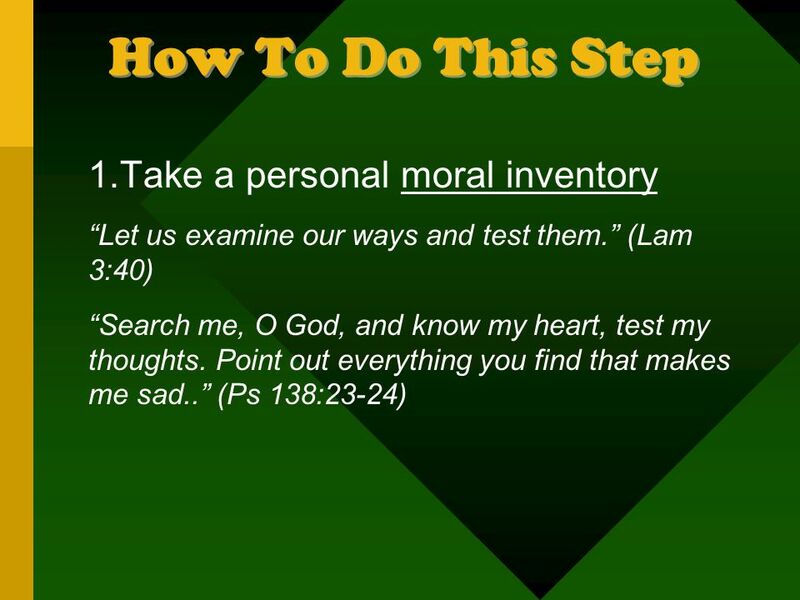 I would like to draw our attention to Step 4 of the 12- step program: We made a searching and fearless moral inventory of ourselves. Ephesians 1:4-5 New Living Translation “Long ago, even before He made the world, God loved us and chose us in Christ to be holy and without fault in His. Hebrews 5 11 There is much more we would like to say about this, but it is difficult to explain, especially since you are spiritually dull and don’t seem.
. Luke 5: His Condition: Leprosy – Starts inside under the skin (Lev. 13:3) – Appears small at first (13:2, 6) – Spreads, often out of sight, festering. 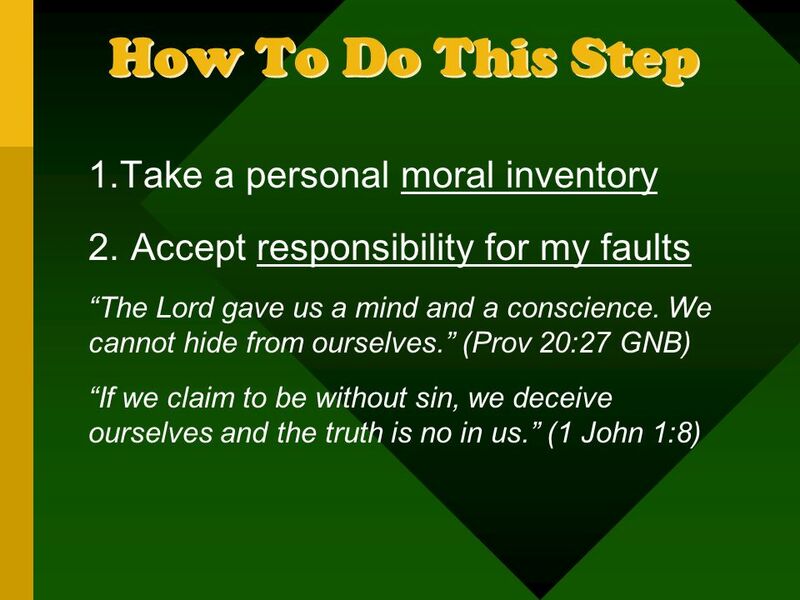 Principle 4 Openly examine and confess my faults to myself, to God, and to someone I trust. 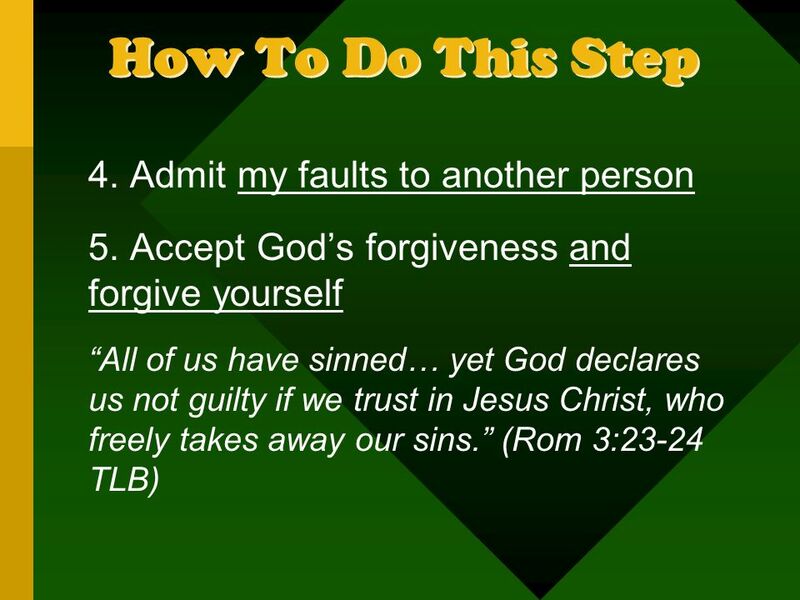 Forgiveness seems to go against your sense of what is right and fair. So you hold onto your anger, punishing people over and over again in your mind for. 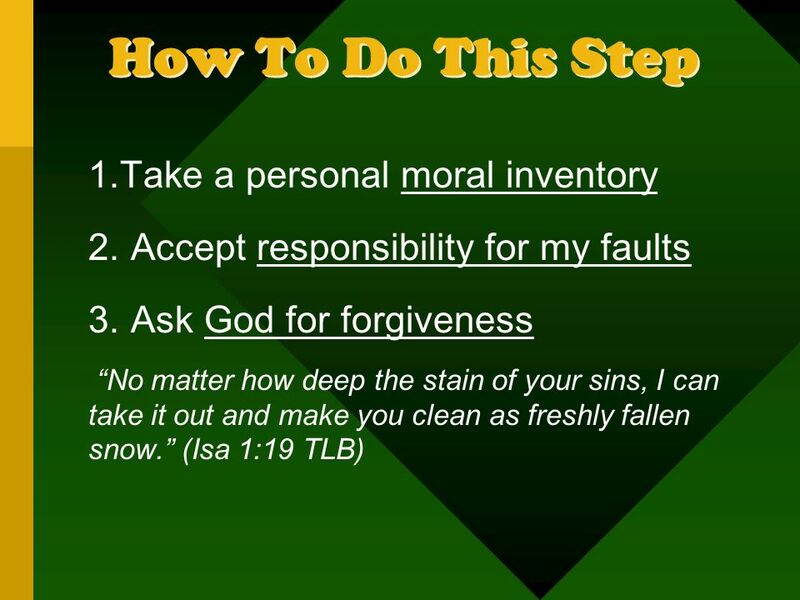 Celebrate Recovery Principle #5: Voluntarily Submit to Every Change God Wants to Make by Wes Woodell (based on the Celebrate Recovery material by John. We are human. We flub up. We make mistakes. We make bad choices. We cause pain. 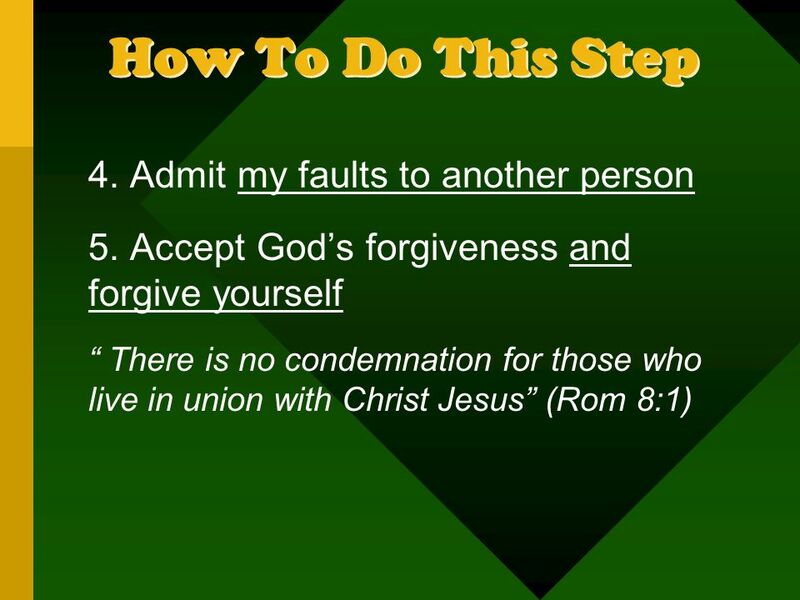 So we need to be reconciled with God, with each other, and with ourselves. Dealing Biblically With The Past FALL FOUR BUCKETS. 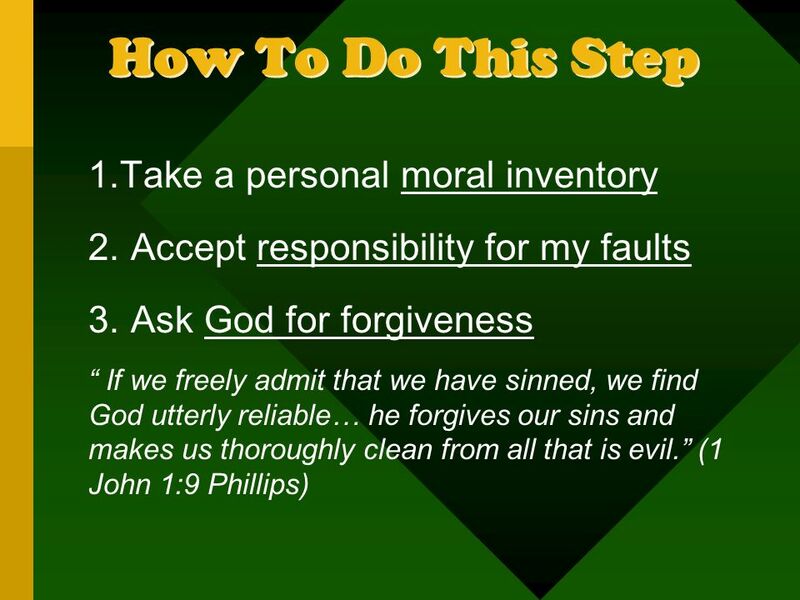 The Sharing Choice Life Healing Choices – Part 8.
. Luke 5:12-15. His Condition: Leprosy – Starts inside under the skin (Lev. 13:3) – Appears small at first (13:2, 6) – Spreads, often out of sight, festering.